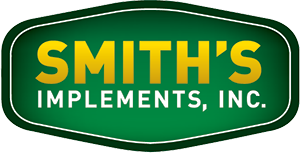 Smiths Implements in Mercersburg, PA carries a large selection of quality farm and agricultural equipment including a wide variety of new and used John Deere tractors and combines. We also offer commercial and residential lawn & garden equipment including mowers, zero-turns, snow equipment, utility equipment and more. Outside of our Mercersburg, PA location, we have stores located in Carlisle, PA, Chambersburg, PA and Hagerstown, MD. Check out our inventory of farm equipment and lawn & garden equipment including tractors, combines, mowers, zero-turns, utility equipment, snow equipment and more. We also carry a huge inventory of parts and accessories. Visit our website for our complete farm equipment and lawn & garden equipment inventory. Submit your review of Smiths Implements below.